So, when he went in to finish work on Matador he recorded the 2 songs in Spanish. The single "Anillo de Fuego"
New !! Liner Notes Below !!! 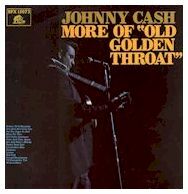 In 1958 Johnny Cash moved from Sun records to Columbia and ironically, had his biggest hits for … Ballad Of A Teenaged Queen and Guess Things Happen That Way. Both songs reached the Number One position in the charts. Prior to that time he had a number of songs in the top ten…. I Walk The Line and So Doggone Lonesome in 1956; Home Of The Blues, Next In Line and Train Of Love in 1957; and You’re The Nearest Thing To Heaven in 1958. 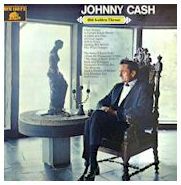 Meanwhile, in Germany both Don’t Take Your Guns To Town Son and the German version Leg Knarre Weg by Udo Jurgens were quite successful, so Columbia decided to record Johnny Cash in the German language. On the 25th of October 1959 he recorded I Got Stripes as Viel Zu Spat and Five Feet High And Rising as Wo Ist Zuhause, Mama. These two songs must have been the first attempt of a country singer to record in a foreign language. 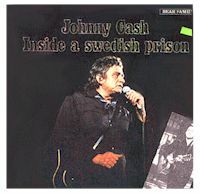 Later, Cash recorded Ring Of Fire in Spanish, and then New York (after his appearance at the Newport Folk Festival) he recorded Wer Kennt Den Weg ( I walk The Line ) Kleine Rosmarie, In Virginia and Besser So, Jenny-Joe despite the rumor to the contrary, only the latter four german language recordings were released. On February 16, 1960 Johnny Cash recorded Fable Of Willie Brown, which remained, like all others on this LP, unissued until now. It was at this same two day session that the Top Ten hit Season Of My Heart was recorded. On May 9th of that same year he cut The Losing Kind, a title which also remained in Columbia archives until now. 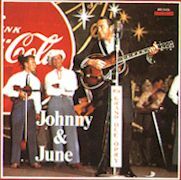 So Do I was recorded at the same session as Tennessee Flat Top Box on July 19, 1961 Shamrock Doesn’t Grow In California was recorded together with the famous Bonanza on April 23, 1962. A few months later, on June 8, 1962 he recorded The Danger Zone, and on August 22, of that same year I’ll Be All Smiles Tonight a song which did not fit well with the Blood Sweat And Tears album sessions. Two roads will be for all to see, but which way will man go? Will he arise toward the skies to reach for some new plateau? Will he devise a brave new world, a world thus far unknown? Will he plow under all the seeds of greed and hate he sewn? Or will he steal the very field he plants his hopes upon? Just recently, June Carter issued a well-received solo album, her first in a long time. 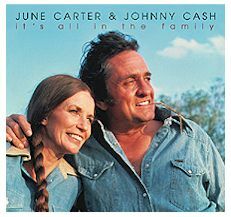 As she explains in interviews, she has spent the last few years looking after her husband, Johnny Cash. Junes last great solo album was Appalachian Pride, dating from 1976, now reissued by Bear Family. Despite the fact that she grew up on the road with her famous mother, Maybelle, June has always been intensely proud of her familys roots in Appalachia. That was never more evident than on these recordings where she lends her personal stamp to songs like East Virginia Blues, Another Broken Hearted Girl and Big Balls In Nashville. 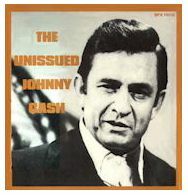 Appalachian Pride has been rounded out with Johnny Cashs children album, The Johnny Cash Children Album on which Johnny (with some help of his family: June Carter Cash and Rosey Nix) makes music for everyones family. The titles include: I Gotta Boy (And His Name Is John) (& JUNE CARTER CASH); Little Green Fountain (& JUNE CARTER CASH & ROSEY NIX), The Mystery Of Number Five and Ben Dewberrys Final Run. 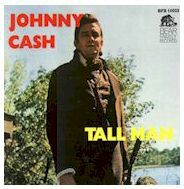 Heres a rarely heard side of Johnny Cash. 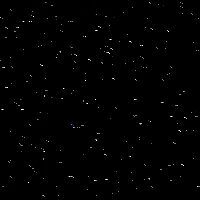 The Man in Black lightens up!